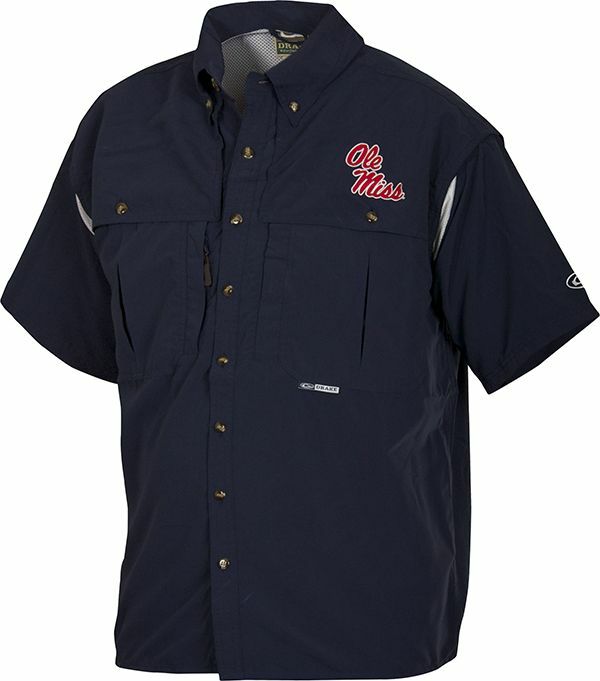 This officially licensed Ole Miss product comes with the Ole Miss embroidered logo on the left chest. 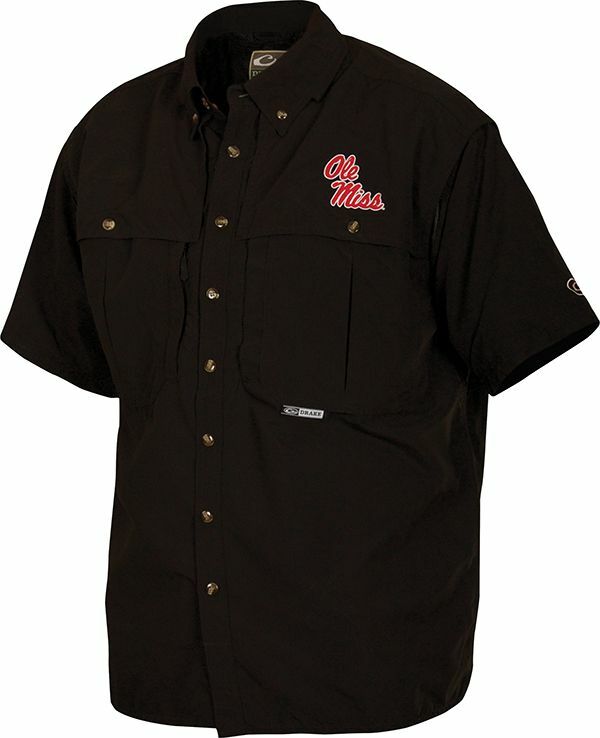 This lightweight shirt shows off your favorite waterfowl brand at the office, the hunting camp, or during your travels. 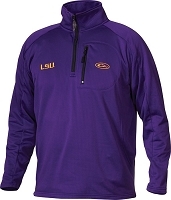 The breathable nylon fabric is comfortable, cool, and dries quickly. 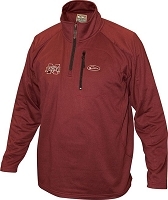 The classic seven button design also has front and back ventilation to keep you cool and manage moisture in warm weather. 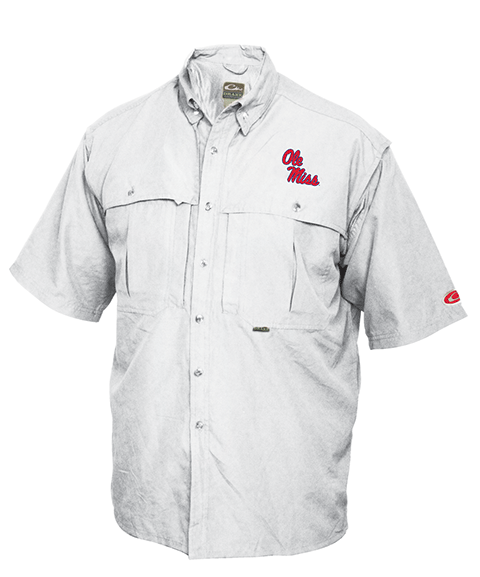 Q: Is this shirt's color a light gray/natural, or is it the bright white with navy sleeve embroidery? Thanks. 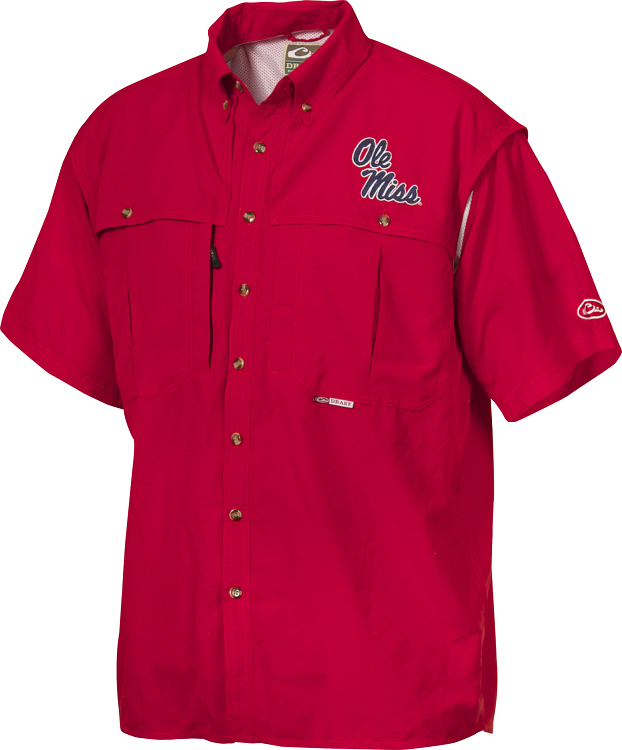 A: The white Drake Ole Miss Shirt is a bright white with Ole Miss Logo embroidered in red with a blue outline.